There’s an amazing Dilbert cartoon that goes like this. “Is there anything different on your end?” Dilbert asks, incredulously. “I think I’m supposed to be happier,” Pointy-haired Boss says. That, in a nutshell, is what “employee engagement” efforts look like from the perspective of employees. They view it as a heavily-marketed corporate scheme to get them to produce more efficiently, but without any tangible benefits flowing back to them in exchange. Heading into 2018, you can’t go far in HR cyberspace without reading about the importance of employee engagement or “the employee experience,” so the danger is that many companies are running the risk of getting it wrong or wasting their efforts. The sad irony is that from the company’s perspective, engagement is actually not just about the company, despite what many employees might believe. True, the company also benefits when workers are more fulfilled and content, but companies often solicit feedback from their employees in the form of engagement surveys, anonymous and otherwise. Those surveys are used to make vital decisions about jobs, management hierarchies and working conditions that have a direct impact on employees’ quality of life. And survey results, of course, will be heavily influenced by how engaged employees already are. 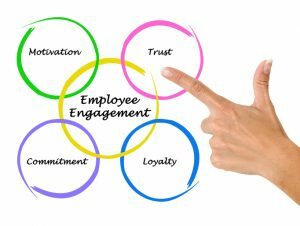 So the question for 2018 is not whether to engage or not to engage, it’s whether and how to make employees reciprocate your efforts so that you boost participation, candidness and ultimately, return on your engagement investment. Why are you collecting feedback? Who sees the feedback and when? What has been done in response to previous employee engagement efforts? What is your plan for taking action on the items raised in the engagement survey? What kinds of conflicts are there with the results and what are some reasons for that? What is different about how your company acts on feedback compared to others? How does your company handle online, public complaints – anonymous or otherwise – and why should employees trust the internal reporting system more so than Twitter or Glassdoor.com? If you can answer those questions with a straight face (it helps to have these discussions in person! ), then chances are employees are engaged and willing to trust that your efforts have dual motives: improve the company but also improve the quality of your employees’ lives. And that, HR friends, is the balance to strike if you want to make yours a truly great place to work in 2018. Verizon, Amazon, Goldman Sachs and Target are accused of using Facebook recruitment ads to target younger workers for job openings, according to an investigation by ProPublica and the New York Times. The federal Age Discrimination in Employment Act (ADEA), however, prohibits bias against people 40 or older in hiring or employment decisions. The Communications Workers of America has also filed a class action lawsuit against T-Mobile, Amazon, Cox Communications and “hundreds” of other large employers alleging that their members aged 40 or older may have been denied the chance to learn about job openings for which they would otherwise qualify. We’re still feeling the aftershocks of the Harvey Weinstein scandal, but the benefit to HR is the amount of attention on the subject of sexual harassment and the intelligence that has been produced by the collective HR community in trying to help companies prevent this type of behavior in the workplace. However, sometimes companies can go too far in trying to avoid the appearance of impropriety between and among workers. One example is the “Pence Rule,” a reference to Vice President Pence’s personal rule of never eating, traveling or meeting with female colleagues outside the professional setting without his wife present. However, such a practice would also be illegal as it potentially deprives women of equal opportunities in the workplace if, say, major decisions or business deals are being made over dinner or drinks or at the golf course. Generally speaking, business and romance are a bad mix. 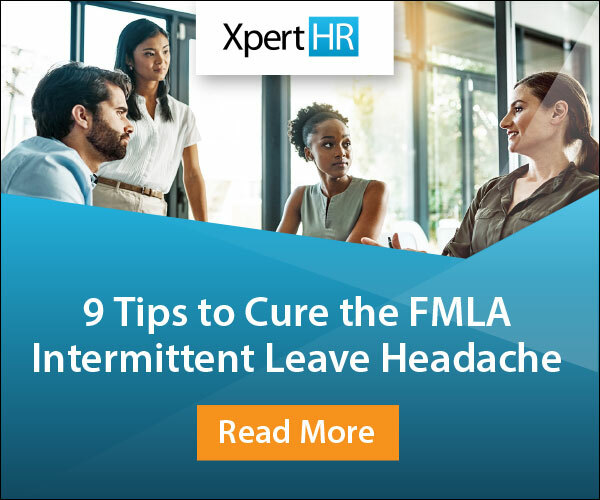 It’s hard to forbid employees from pursuing any of their colleagues romantically, but they must be aware of the implications and must exercise the utmost discretion and professionalism when or if things don’t work out. Zero tolerance on harassment is probably your best bet. Companies no longer have the luxury of giving second or third chances to repeat offenders, nor is that a good strategy for protecting vulnerable workers. Treat sexual harassment like you would violence to provide the most protection to employees and the company. Be consistent in how you treat employees. This is a good example of where the “Pence rule” could rear its ugly head. It’s never OK to treat men and women differently in the workplace, even if you think you have their best interests in mind. In the workplace, decisions have to be made irrespective of gender. Period. Train everyone on appropriate and inappropriate behavior in the workplace. Three months ago this may not have seemed urgent, but today there’s no longer any room for debate. Everyone needs to be educated on appropriate and inappropriate behavior in the workplace and the training should be meaningful. Company policy on the subject to piggyback off the training is even more effective. A decision on DACA is likely being deferred until mid-January, but according to one Senate Democrat, there is still a “wide chasm” between the two parties in the Senate on components of the compromise. There may be perhaps an even bigger obstacle when the bill gets to the President’s desk, as he has intimated that protection of “dreamers” will only happen with funding for the border wall project. That is a non-starter for many lawmakers in Congress. The NLRB then followed that decision by throwing in some New Year’s presents in the form of walking back restrictions on accepting proposed settlements with the NLRB, workplace civility rules, implementing changes after the expiration of a collective bargaining agreement (CBA) and segmenting employees into “micro-units” for the purposes of collective bargaining. We don’t get many opportunities for schadenfreude when it comes to the IRS, which pretty much always has the last laugh (them and the Grim Reaper). But when there is a major overhaul of the tax code, the IRS is left with what can only be described as a “monumental” task while the rest of us ease into the New Year. That includes producing new withholding tables so that payroll managers know how much to deduct from paychecks and addressing the potential invalidation of millions of W-4 forms among other gargantuan tasks. In the last edition of HR Intel, we asked you how “Dude (Looks Like a Lady)” by Aerosmith is related to HR. Now, I could take the obvious route here and say this song is a good reminder of expanding protections against discrimination for transgendered individuals in the workplace. And that’s a great thing to remember for 2018 and beyond as that trend is likely to expand at the state and municipal level around the country. However, the story behind this song adds another important HR lesson. Allegedly, the original title of the song was “Cruisin’ for the Ladies,” but a songwriter named Desmond Child told Aerosmith that their song title was too boring. Steven Tyler then confessed that when he first wrote the melody it was “Dude Looks Like a Lady,” which was inspired by an incident when he spotted what he thought was a woman in a bar with “ginormous” blonde “rock” hair. When the woman turned, it was actually Vince Neil, the lead singer of Motley Crue, sporting the hairspray-enhanced hairdo of the decade. Child pounced on that and convinced the band that their original title was better, despite the fact that it could be viewed as controversial, so long as they packaged the song and the lyrics sensitively. A few years later, the song was featured in “Mrs. Doubtfire,” at which time it found mainstream success. The lesson for HR here is that the vanilla, politically-correct, watered down version of a concept is usually safer, but it’s not always better. Sometimes the most controversial ideas are the most important ones, and it’s the positioning and the implementation that makes all the difference. For the final HR Intel of 2017, we leave you with Auld Lang Syne. Tell us how you think this song is related to HR in the comments section below or on Twitter!